A. 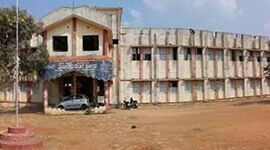 B. Shetty Memorial Institute of Dental Sciences is located in Derlakatte, Mangalore, Karnataka. It is well connected with train and bus. Established in the year 1985 by NITTE Education Trust, A. B. Shetty Memorial Institute of Dental Sciences has created revolution in the field of dental services for the past three decades. 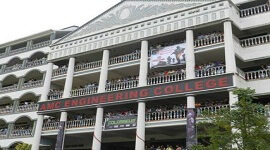 This college is affiliated to the leading global universities i.e. Rajiv Gandhi University of Health Sciences and Okoyama University Dental School, Japan and recognized by Dental Council of India (DCI). It is attached to K. S. Hedge Hospital, which is managed by NITTE Education Trust. They offer admission to 100 candidates for undergraduate program and 49 candidates for its Post Graduate program. The faculties are well knowledgeable and experienced who are committed to high standards in the aspects of dentistry. 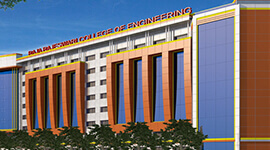 The college is one of the outfitted institute in the country. They train the students with the latest techniques of the dentistry and exposure to the patients. The system of student- guardianship where in 5 students are assigned to 1 teacher to make the training easy and understandable. The campus building is designed efficiently with the garden surrounded with beautiful trees and plants covered with colorful flowers. It has separate hostel facilities for girls and boys with staff wardens. Other than this it has 24 hours telephone and internet facility. The students can make best use of the computer lab and the laboratory available for research. The canteen with tasty and hygienic food is available for the students staying in hostel as well as for other students. ATM and Wi-Fi facility is also available in the campus. Anti-ragging committee is setup for the safety of students. Library is located in the campus building with seating facility for 200 students and collection of more than 6475 volumes and 53 journals and space for seminar and discussion. 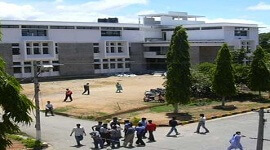 Campus covered with vast area and building is well designed. The trees and plants in the campus are pleasant. The computer and research lab available for the students to venture into their subject. The seminar rooms available for the discussion of subjects. The library has huge collection of books and journals. Separate hostels for boys and girls with comfortable living space. Well connected by bus to city that helps students who are not residing in the hostels. Banking facilities within the campus. Food court with hygienic and tasty foods. A. 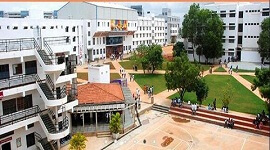 B. Shetty Memorial Institute of Dental Sciences was established in 1985 by NITTE Education Trust. 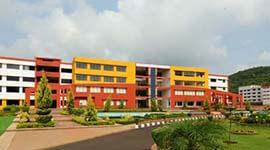 It is attached to K. S. Hegde Hospital which provides internship to the students. The institute trains the students with latest techniques and equipments. The campus is huge and covered with trees and plants around it. 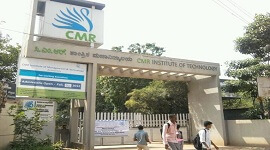 It is well connected with train and bus for the students of Mangalore and outside Mangalore. 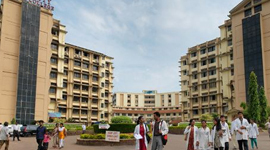 The college is affiliated to Rajiv Gandhi University of Health Sciences and Okoyama University Dental School, Japan. The teachers are well knowledgeable and experienced in the related fields. 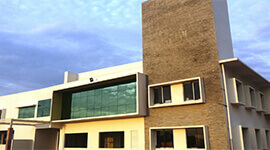 The computer lab is spread over 570 sq.ft with intranet and internet facility. The student can explore more information. The library is huge and has collection of 6475 volumes 53 journals. K. S. Hedge Hospital managed by NITTE Education Trust. Each block for each department with all required facility. Buses for students ply at regular intervals. Hygienic food available in cafeteria. Banking facility is available within the campus. Separate hostel for male and female students. Anti-ragging committee is set up for the welfare of students.